I am a weaver of cloth and maker of garments. My fabrics are a blend of cotton and rayon yarns in a variety of textures and sizes, beginning with the selection of a dozen different shades of a single color. I weave several related fabrics with each warp, or collection of threads, measured out to a thirty yard length. 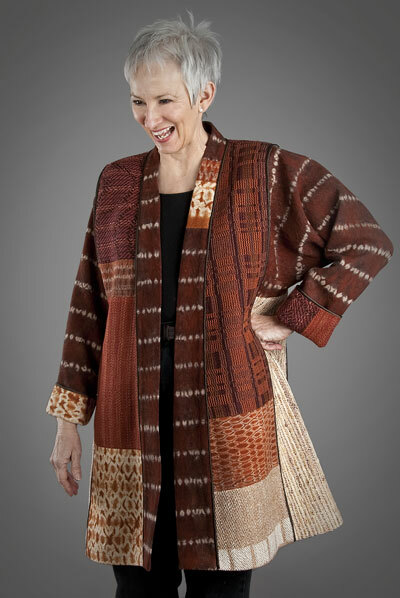 Sometimes, I weave with a specific garment in mind, or a series of pieces, or to work with another fabric, often made by another fiber artist. 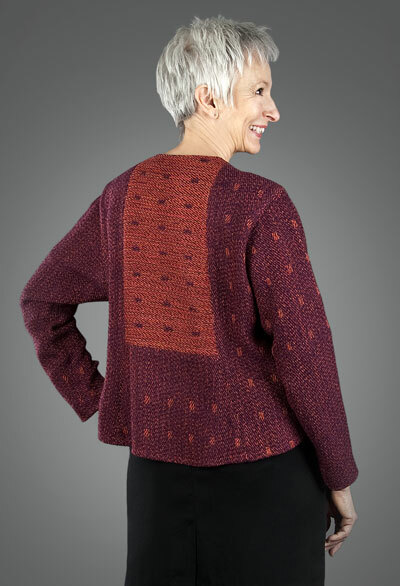 Several years ago I began to inset small pieces of hand-dyed handwoven fabrics from a friend into some of my shirts, often waiting until I had just exactly the right fabric to make a garment that was greater than the sum of its parts. This success led me to further collaborations, and to appreciate the intellectual and sometimes, manual, challenge in working with others skills and colors. Currently, I work with an art quilter, a marbling artist, a spinner/knitter, and a couple of artists working in woven shibori. 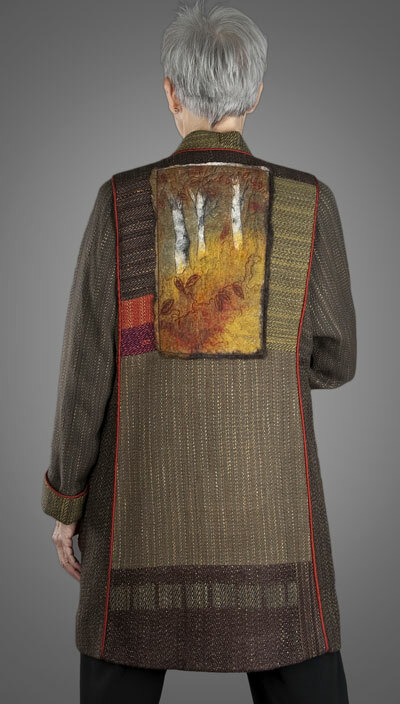 Thus far, all of my work is rooted in function: I make wearable, comfortable garments that are essentially one-of-a-kind, from the exhibition coats to the shirts I make four at a time: I never reproduce a fabric exactly, nor do the artists with whom I work. 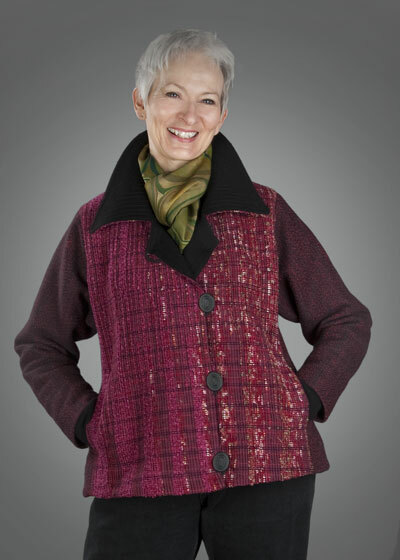 I look forward to, somehow, incorporating felt, handmade paper, and polymer clay into a series of exhibition pieces, in the form of this Celebration Coat. And, in the mean time, Ive got miles of weaving to keep me busy.